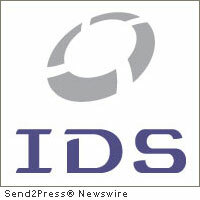 SALT LAKE CITY, Utah, Dec. 13 (SEND2PRESS NEWSWIRE) — Curt Doman, president of International Document Services, Inc. (IDS), a mortgage document preparation vendor, says lenders who have not adopted the Model Privacy Form are exposing themselves to unnecessary risk. Lenders are not required to adopt the Model Form and may, in fact, develop their own form to use. After Dec. 31, however, only lenders using the Model Privacy Form can rely on retaining safe harbor under the Gramm-Leach-Bliley Act. “Normally, lenders are practically begging for specificity and clarity from regulatory agencies regarding policy changes, but, in this case, the regulators have provided the industry with the precise method for compliance. In my mind, not adopting the Model Form would be a most unwise course of action,” said Doman. To ensure that IDS customers retain safe harbor under GLB, IDS has incorporated the Model Privacy Form into the idsDoc system. Although the Model Form is available for download on the Web, IDS customers are able to personalize the form to their individual business practices and needs. The new forms will be included in all doc packages beginning Jan. 1, 2011. The forms, developed by a consortium of eight federal regulatory agencies and first released on Nov. 17, 2009, are designed to inform consumers of the issuing financial institution’s privacy rules pursuant to Subtitle A of Title V of the GLB Act, which includes the types of personal information the institution collects and shares, reasons why this information may be shared and to whom this information may or may not be disclosed (i.e. affiliates, non-affiliates and joint marketers). Additionally, the issuing institution pledges within the form that they will protect a customer’s personal information from unauthorized access by using security measures that comply with federal law. News issued by: International Document Services Inc.